The Project for the Empowerment of Survivors (PES) is a new initiative offered through the Statewide Hotline of the Virginia Sexual and Domestic Violence Action Alliance. This initiative will expand current hotline services to provide trauma informed legal services and legal advocacy to callers from Virginia who are experiencing sexual or intimate partner violence, dating violence, human trafficking and hate crimes. The goal of PES is to offer survivors of violence, particularly those who are traditionally underserved, an opportunity to find answers to legal questions, to gain insight into additional legal issues, to carefully weigh legal options on the phone and through chat and to be linked with both legal advocacy and legal services in their communities. 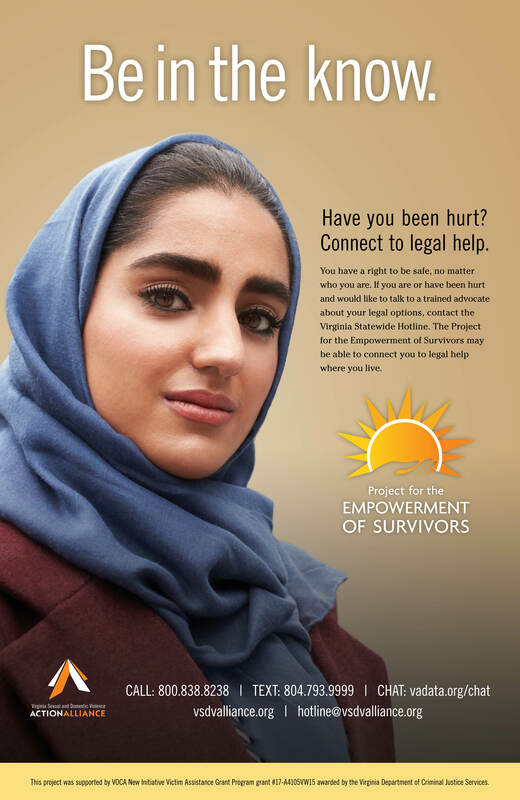 The PES has three components: trained advocates, attorneys and volunteer law students who can answer calls and chats from survivors with legal questions or concerns; a network of trained community-based attorneys who can provide direct legal representation; and, a Legal Assistance Fund that provides monetary support to underserved victims of violence who need legal representation. The PES project is intended to provide access to information and support on a number issues facing victims of violence. These issues include, but are not limited to, safe housing, protective orders, employment accommodations, name changes, immigration issues, access to public benefits, child custody and support, divorce, termination of parental rights, crime victim compensation and Title IX related issues. The PES will offer survivors the opportunity to identify the actions that will best ensure safety and healing from the trauma of the violence they have experienced and a support system that will improve the likelihood of success as they move forward. 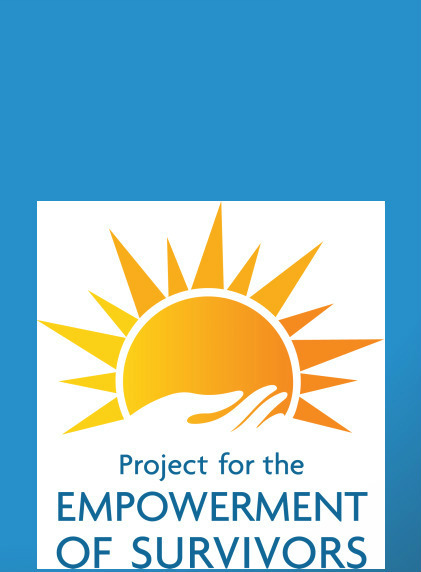 The Project for the Empowerment of Survivors is funded by the Virginia Department of Criminal Justice Services the “New Initiative Victim Assistance Grant Program”. The PES project is managed by Carmen Williams who can be reached by phone (804.377.0335 Ext 2119) and by email (cwilliams@vsdvalliance.org). Survivors and advocates may access the services of the Project for the Empowerment of Survivors by calling the Statewide Hotline at 1.800.838.8238 to speak directly with a trained Legal Advocate and to be linked to Legal Services, or by logging on to www.vadata.org/chat to enter into a confidential chat with an advocate.